Global Summit: Climate Realism or Just Hot Air? Though ill-considered, Barack Obamas recent endorsement of Medicare for All was at least well-timed: Independent Institute Senior Fellow John C. Goodman had just written a pair of articles at Forbes on this latest version of single-payer healthcare. Perhaps the former president wished to give some encouragement to Sen. Bernie Sanders and House candidate Alexandria Ocasio-Cortez, in the hopes that their popularity would lift the electoral prospects for his party overall. Unfortunately, Obama somehow neglected to read the analysis by Dr. Goodman, even though his regular column at one of the nations leading business magazines makes him arguably the most visible policy expert critical of federal interference in healthcare. Goodman runs through several important facts relevant to the universal Medicare proposal. The idea has enormous popularity (although some in Obamas party fear it will ultimately cost them elections), yet Medicare itself is widely misunderstood. Medicare, although financed largely with public dollars, isnt, strictly speaking, government insurance: It was originally modeled after a standard Blue Cross plan, circa 1965. And Medicares most successful part, a subset of Medicare Advantage, is managed by independent physician associations, which keeps down costs while delivering higher quality care. Yet despite this pocket of sunshine, most of Medicare is a black hole, often wasting billions of dollars on innovations that never pan out. Universal Medicare would be a costly mess, according to Goodman: With Medicare for all, you would have virtually no say in how costs are controlled other than the fact that you would be one of several hundred million potential voters. Just as numerous special interests (doctors, hospitals, drug companies, insurers, device makers, etc.) have their finger in the Obamacare pie, universal Medicare would also be contaminated by this pathology. Indeed, not a single problem in Obamacare would go away under Medicare for all, Goodman writes. Medicare is already on a path to health care rationing. Thus, like it or not, Medicare spending cuts are on the way. They will be much more severe if seniors have to compete with younger patients for their care. Which may be the only thing that universal Medicare would be guaranteed to deliver. When the financial services firm Lehman Brothers filed for bankruptcy ten years ago on September 15, 2008, few anticipated that bank lending would soon plummet and unemployment would surge. But not only did a financial panic ensue, it led to an unprecedented governmental response, including huge bank bailouts and aggressive monetary expansion. Conventional wisdom holds that swift action by regulators and the Federal Reserve prevented a catastrophe on par with the Great Depression, but Independent Institute Research Fellow Robert P. Murphy, writing in The Beacon, argues that every pillar of the dominant view of the financial crisis is cracked. Consider the deregulation claim. The housing bubble, its subsequent burst, and the financial storm that ensued were not caused, in whole or in part, by President Bill Clintons 1999 repeal of Depression-era restrictions that kept commercial banks separate from investment banks, Murphy explains. Rather, government policy, including regulatory pressure, for years worked to reduce mortgage lending standards. Also, in the early 2000s, the Federal Reserve under chairman Alan Greenspan aggressively expanded the supply of money and credit to stimulate economic growth after the dot-com crash. This expansion had bipartisan support. 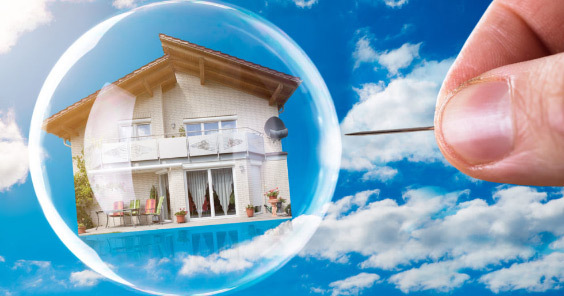 Indeed, Paul Krugman in a 2002 New York Times column infamously echoed PIMCOs chief economist, who said Greenspan needs to create a housing bubble to replace the Nasdaq bubble, Murphy writes. 3) Global Summit: Climate Realism or Just Hot Air? Last weeks Global Action Climate Summit in San Francisco brought together thousands of activists calling for reductions in fossil fuel emissions. Some called it a salute to Gov. Jerry Brown, though some activists protested that his climate policies for California dont go far enough. Notably, the event was also accompanied by expert commentary from across the bay: Heartland Institute teamed up with the Independent Institute to deliver side-by-side analysis by experts offering facts and insights neglected by the groupthink that typically plagues the subject of climate policy. Our Sept. 13 coverage is here; Sept. 14 coverage is here. The #MeToo movement has done much to raise awareness of sexual harassment and the injustices endured by its victims. Less well known, but also crucially important around the world, are gender disparities regarding freedom of travel, property-rights protections, freedom to work or start a business, and ability to enter into contracts. Fraser Institute economist Rosemarie Fike has created a measure of such issuesthe Gender Disparity Index (GDI)and her findings are as disheartening as they are illuminating. When Fike used the GDI to adjust countrywide measures of economic freedom, several countries plummeted in their rankings, report Independent Institute Senior Fellow Lawrence J. McQuillan and Policy Researcher Maureen Cowhey, in an op-ed for Investors Business Daily. For example, Fike found that Saudi Arabia, which just this June lifted its ban on women driving, was particularly hostile toward womens economic liberties. Though it ranked 99th in economic freedom overall, the kingdom fell 23 rungs down the ladder after its GDI was taken into account. Fikes ranking system is very useful for assessing a governments overall policies toward women. But GDI is not designed to capture all major differences in the ways that male and females are treated in a society, McQuillan and Cowhey note. Namely, it doesnt factor in (non-governmental) customs and religious practices that can also disadvantage women. (Nepal is only one country whose GDI score masks enduring social practices that hinder the physical and emotional well-being of half its population, the authors show.) But the larger point is that when governmental actions and cultural norms hinder womens choices, everyone pays in one way or another.